Bangkok Community Theatre is pleased to announce their September production of Pygmalion, by George Bernard Shaw. 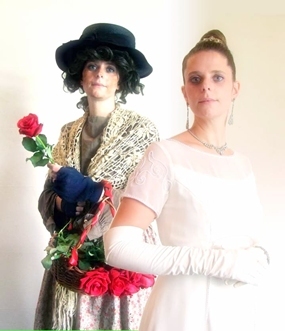 Directed by Mark Sobels, and performed at The British Club on the 15th, 16th, 17th and 22nd, 23rd and 24th of September, Pygmalion is a classic comedy and tells the story of feisty cockney flower girl Eliza Dolittle and her transformation into an elegant lady by the irascible Professor Higgins. The play is Shaw’s best-known and loved comedy and was the basis for the 1964 musical film, My Fair Lady starring Rex Harrison and Audrey Hepburn. For more information, please visit the BCT website at www.bct-th.org or call 0879363798.